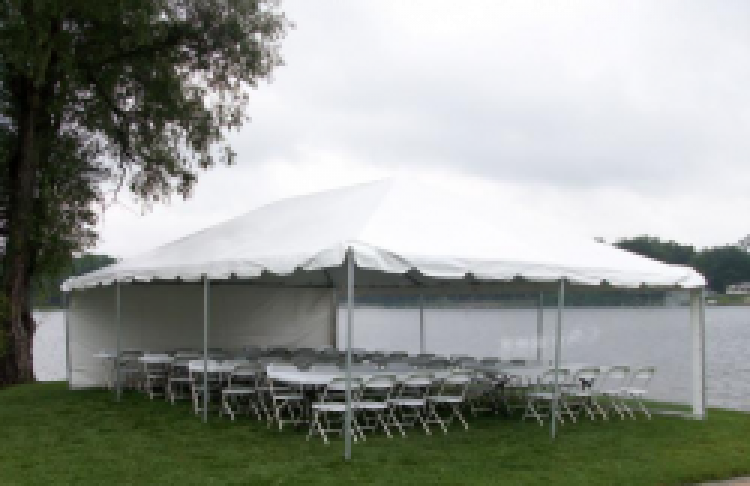 Standing at 600 square feet, this 20x30 Tent setup is ideal for large parties, weddings, and any other outdoor receptions. 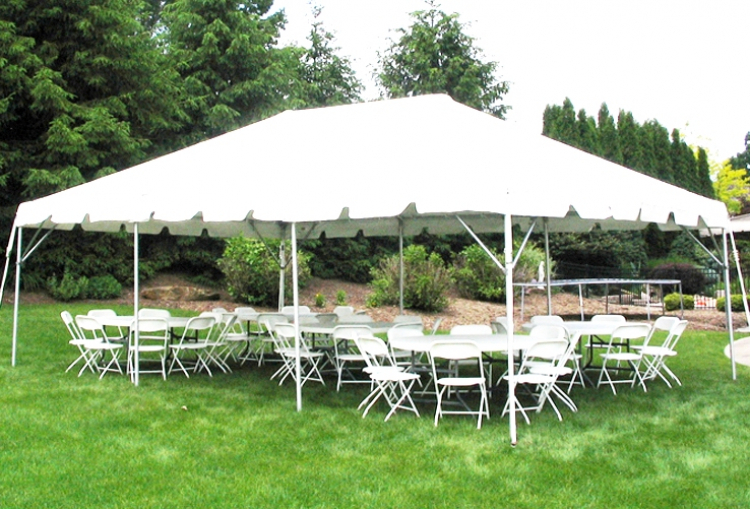 Because of its frame structure, there is no need for a middle support pole, allowing for maximum arrangement of space beneath the tent! 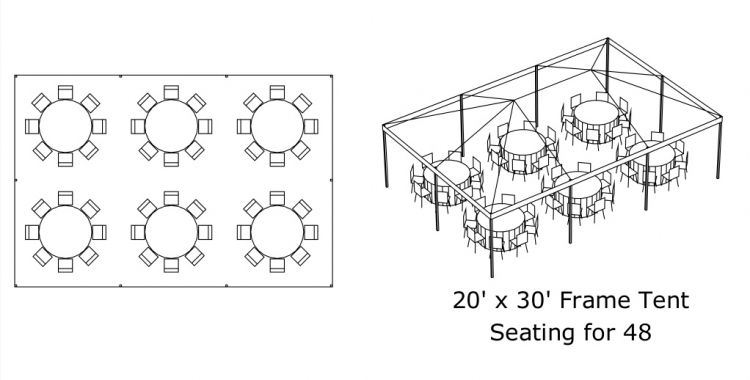 Space Measurement: 600 sq. ft.